There are still two shopping days till Christmas. 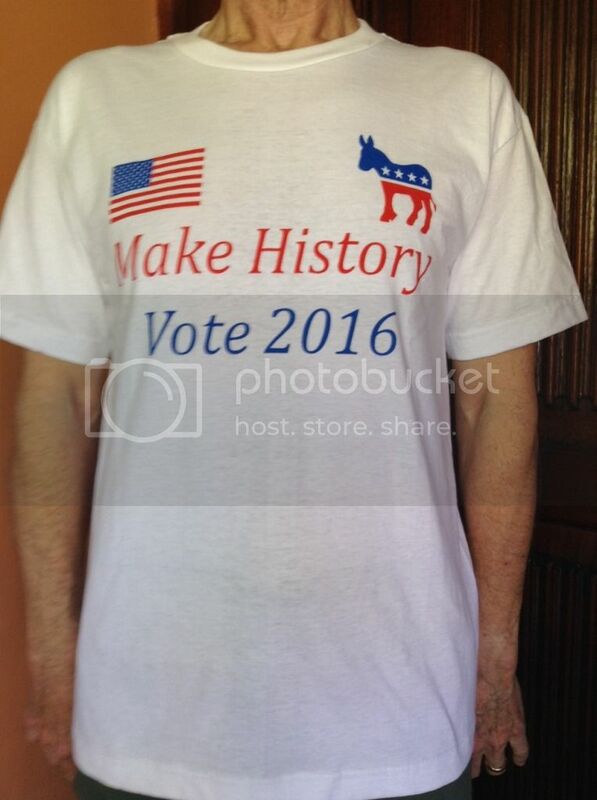 If someone is still on your list, or you want to give someone something really special, then hurry and buy a brand new Democrats Abroad Guatemala tee-shirt “Make History, Vote 2016.” They’re available now in small, medium, large and XL sizes. You can get yours from Tom Totino at ttotino@gmail.com, or call 5718-6153 to reserve yours.